Here are how my lessons stand apart from all the rest. Pilates is often difficult, time-consuming and expensive to learn. I've dedicated my 40 year career in Pilates - and this website - to changing all that. I have been teaching and practicing Pilates for 40 years specializing in the mat exercises and in making Pilates quick and easy for the beginner. My teacher and constant inspiration is the Pilates Elder Mary Bowen. I teach an athletic style just as Joseph Pilates taught. My free lessons are 18 of Joseph Pilates' original mat exercises. They are specially chosen to give you a full-body workout. You can stop there and perfect these wonderful exercises for a life-long Pilates routine. I hope to interest you in more! Research has found that the human body needs 3 different kinds of exercise to achieve health: strength training, stretching and cardiovascular conditioning. One of the amazing benefits of Pilates is that each and every exercise gives you stretching and strength training. I take you a step further by showing you how to add cardiovascular conditioning to your Pilates workout. I also offer free online 24/7 support - your own online personal trainer. So what's the catch? Honestly, stick with the 18 free exercises and you can get all the benefits of Pilates. And ask me any question anytime and I'd be thrilled to support your continued practice. 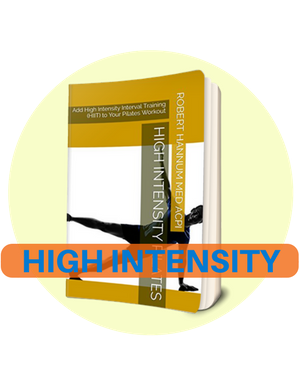 AND I really hope you'll love my lessons so much that you'll want to learn many more mat exercises by purchasing my 'Ultimate Pilates Mat Exercises' video program. You see, as I get older my dream is to do less in-person teaching and more online instruction. Purchase my video program and support my dream!"